What Is 4K Resolution And Is It Worth It? 4K, Ultra HD, or 2160p is a display resolution of 3840x 2160 pixels or 8.3 megapixels in total. With more and more 4K content being available and the prices of 4K displays going down, 4K resolution is slowly but steadily on its way to replacing 1080p as the new standard. 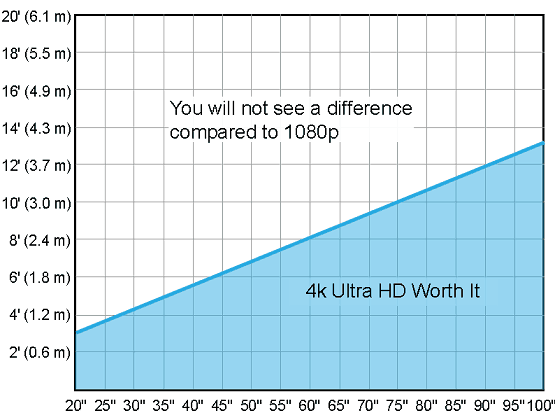 If you can afford the hardware required to run 4K smoothly, it’s definitely worth it. Unlike the previous lesser screen resolution abbreviations that contained vertical pixels in their label, such as 1080p for 1920×1080 Full HD or 1440p for 2560×1440 Quad HD, 4K resolution indicates roughly 4,000 horizontal pixels instead of the vertical value. 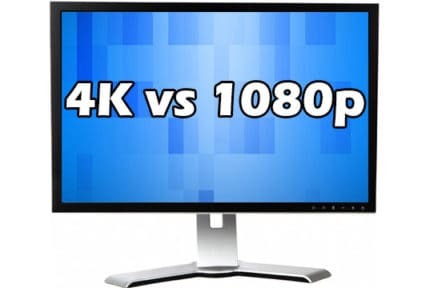 As 4K or Ultra HD has 2160 vertical pixels, it is also sometimes referred to as 2160p. 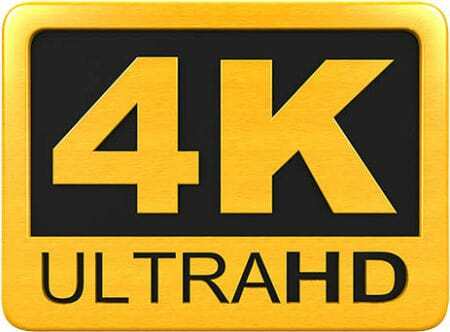 The 4K UHD standard that’s used for TVs, monitors, and video games is also dubbed as the UHD-1 or UHDTV resolution whereas, in professional film and video production, the 4K resolution is labeled as DCI-4K (Digital Cinema Initiatives) with 4096 x 2160 pixels or 8.8 megapixels in total. The Digital Cinema Initiatives-4K resolution features the 256:135 (1.9:1) aspect ratio while 4K UHD has a more common 16:9 ratio. Furthermore, there’s the 8K resolution which is also referred to as Ultra HD with 7680×4320 pixels – or 8K Ultra HD. Such high resolution allows for even more lifelike picture quality as the individual pixels aren’t obvious at all. However, there are no 8K displays available on the consumer market nor is there any content that supports it, at least for now. 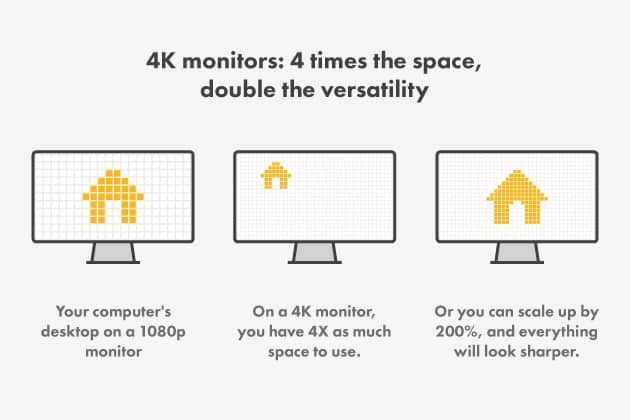 Even though 4K monitors are becoming more and more affordable, if you wish to enjoy a smooth gameplay performance at 4K, you will need a demanding computer equipment to power it up. You will need at least the GTX 1070 or RX Vega 56 to get reasonable framerate at 4K and that’s with a lot of settings turned down. For both high picture settings and high framerate at 4K in the latest titles, you will need to invest in no less than the GTX 1080 Ti while the GTX 1080 and the RX Vega 64 can do great as well if you don’t mind lowering certain visual effects. Pairing your AMD or NVIDIA graphics card with a FreeSync or G-SYNC monitor respectively can also significantly help with the performance. An upside to this is that the picture is incredibly crisp and sharp, so you won’t need to use anti-aliasing to remove spikes like it’s the case with the lower resolutions. This will also save you some extra frames per second in video games. In essence, gaming at 4K means sacrificing gameplay fluidity for a better image quality, at least for now. So, if you play competitive games you’re better off with a 1080p 144Hz gaming monitor and in case you prefer better graphics, 4K is the way to go. In order to view regular 4K content at 60Hz, you will need to have either an HDMI 2.0, a USB-C, or a DisplayPort 1.2 connector on your graphics card. Console gamers don’t lose anything by upgrading to a 4K resolution display as they don’t have the choice as PC gamers do with all the lower resolution but higher refresh rate gaming monitors. Since console games are limited to either 30 or 60 FPS (Frames Per Second), getting a 4K display for your 4K-capable console such as PlayStation 4 Pro or Xbox One X is definitely worthwhile. When it comes to home entertainment, if your favorite shows and movies support 4K resolution, a 4K TV will allow you to enjoy them on a whole new level. Nowadays, there’s a plenty of 4K content of select shows available via online streaming services such as Amazon Video, Netflix, YouTube, and many more. Having said that, you should also note that some broadcast/cable services don’t offer any 4K content yet. So, before you go out and buy a 4K TV, make sure you’ll have a source of content. If you’re considering streaming 4K shows, know that you’ll need a fast internet connection – at least 25 Mbps if you want seamless playback. Another thing you should keep in mind when buying a 4K display is the screen size which thereby affects the pixel density – or in other words, pixels per inch. The bigger the screen the lesser the pixel density, so a 43-inch 4K TV will have 102 PPI (Pixels Per Inch) while a 55-inch 4K TV has 80 PPI. Essentially, this means that if you want a bigger TV, you should sit further away from it than you would from a smaller screen in order not to notice pixels and therefore have a better viewing experience. 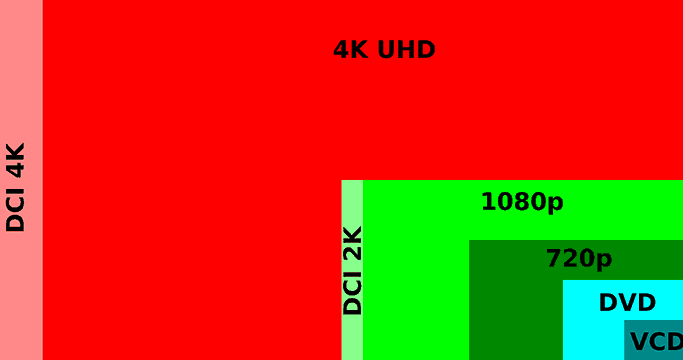 In the chart below, you can see the recommended viewing distance for different TV sizes at 4K. If you want an even better image quality than that of a 4K screen, the next step is getting a 4K HDR (High Dynamic Range) display. In short, HDR further improves the image quality by providing an extended color gamut, a superior contrast ratio, and a higher brightness level for the compatible content. 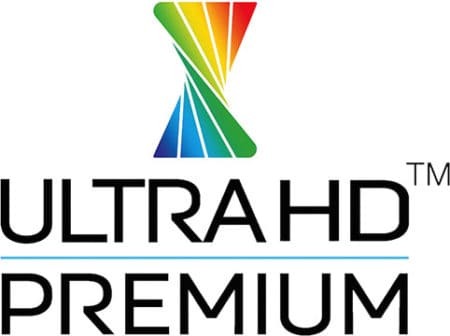 Ultra HD Premium is the latest standard which via a labeled certification indicates that a certain display has full HDR (High Dynamic Range) compatibility that’s been approved by UHD Alliance. 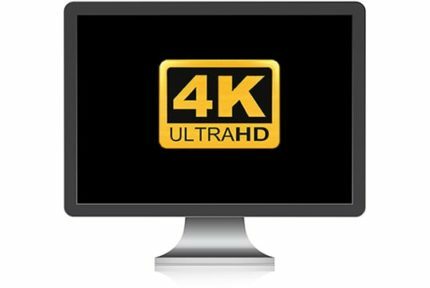 In order for a display to qualify for the Ultra HD Premium logo, besides the 4K resolution, it must deliver 10-bit color depth support that covers at least 90% of the DCI-P3 color space and either have more than 1,000 nits peak brightness (and less than 0.05 nits black level) or over 540 nits brightness and less than 0.0005 nits black level. There are many different formats of HDR, all of which we’ll get into in a separate HDR dedicated article. Finally, you’ll have to decide whether to get a regular LED display or an OLED. Well, if budget isn’t an issue for you then there’s no decision to be made as OLED TVs can produce a much better image quality with deep and truly black colors as they have no backlight. The OLED displays also have the fastest response time speed for minimal ghosting of the fast-moving objects. Older OLED TVs had certain issues regarding image burn-ins and high input lag yet they were quite expensive. 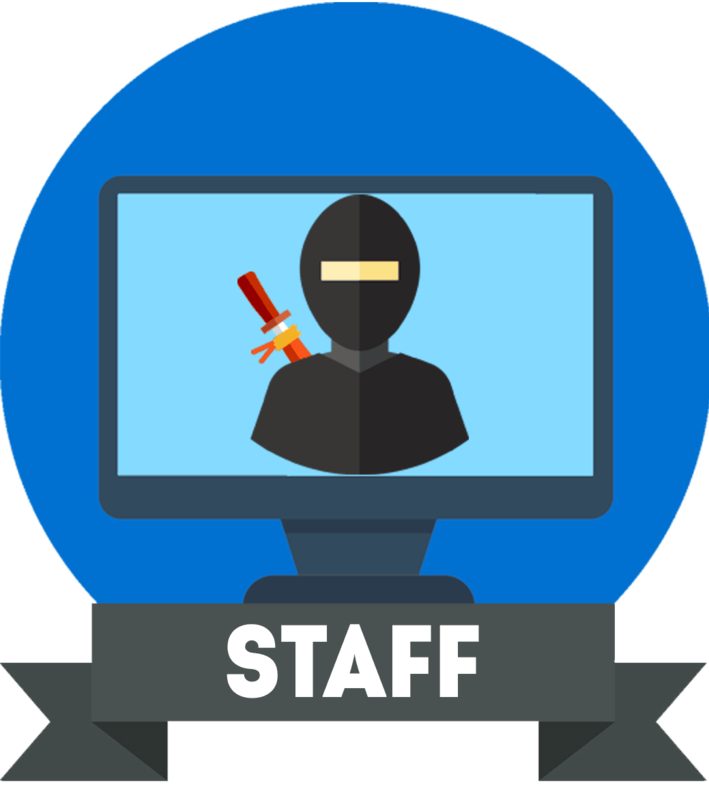 Nowadays, newer models are significantly cheaper while the past issues have been more or less completely dealt with. While there are more and more OLED TVs available, there are only a few OLED monitors out there which are primarily aimed at professional use and are very expensive. Since PC gaming at 4K is rather demanding, even those who can afford it will have to sacrifice frame rate for the superior image quality. This, of course, excludes consoles and video games which are limited to 60 FPS anyway. Having both 144Hz and 4K is possible as well thanks to the latest (and expensive) gaming monitors, however, 4K at 144Hz will require one of the next-gen high-end graphics cards which will undoubtedly also be very expensive. If you’re just looking for a display to enjoy your favorite TV shows, streams, and movies, then getting a 4K TV or monitor is certainly worth it due to the appealing price drops lately as well as the growing availability of content. In fact, there’s a presumption that by the year 2020, more than half of the US homes will have a 4K resolution display.